Okay! The Snapper Season in New South Wales has just got underway! It’s a glorious time of the year to be going out fishing and everyone is excited about it. For those of you who are new to fishing, trust us, it’s going to be a lot of fun. First, let us introduce you to the Snapper. 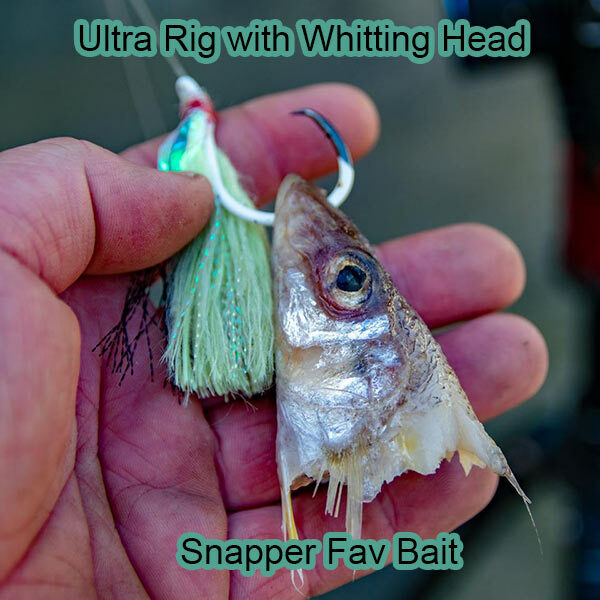 The Snapper is one of the best and most popular angling species out there. The scientific name of the Snapper fish is Pagrus auratus. He is one mean looking fish, weighing a maximum of 20 kg and sometimes extending to 1m in length. As you may have noticed, the Snapper is a big fish, and has a bony hump on the head and an ugly looking fleshy bulge on the snout. He is usually red or pinkish silver in color. He is also referred to as Squire, Reddies and Cockney Bream. When does the Snapper Season start in New South Wales? There is never a bad time to go fishing for Snappers in New South Wales waters. But the best fishing takes place when the waters are more settled, such as from September to November and March to May every year. So the Snapper Season in New South Wales can extend from September to May. It’s a long, long season and there’s plenty of fish for everyone. Talk to your guide or the captain of your fishing charter for the details on this. If you’re fishing in early spring, the best time to go out into the waters is at the first light and the last light. Remember, the fish become faster as the season progresses and the bite times increases. Which are the Best Places to Go Snapper Fishing in New South Wales? There are a plenty of spots where you can go snapper fishing in New South Wales. Our personal favorite is the shallow water on the Mid-North Coast of New South Wales. There are a plenty of productive areas here within the 8m to 12m zone. Generally, Snapper fish is also called as a reef fish as it loves being around reefs. You will find this fish species at reef edges or between crevices and boulders, or in between rocks. They love being around kelp beds as well. That is one of their favorite haunts. Snappers love kelp. The hard part is to extract them from the kelp; even when you manage to hook one, it’s not easy to get them out of the kelp. You need the right equipment to catch Snapper fish. Soft plastic lures such as those from popular brands such as Squidgies, Berkeley and Zman Lures work very well – especially when used with the Ultra Rig from Reedy’s Rigz. Reedy’s Rigz is an Australian company makes the best Snapper, Rigs, Pre-Tied Rigs, Fishing Hooks and more. You can buy their fishing gear and other equipment at any local tackle shop, no matter where you’re in Australia. Visit their Facebook page or subscribe to Reedy’s Rigz popular YouTube channel for more information on them.